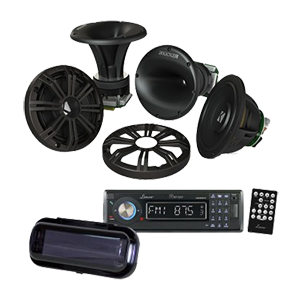 Marine Component Systems will allow you to have a wide range of frequencies from your marine audio system. One set of speakers will give you high quality audio during your excursions on the high seas. Here at HiFiSoundConnection.com, we have a wide collection of Marine Component Systems with prices that are well within your budget. Grab yours here now and save big!